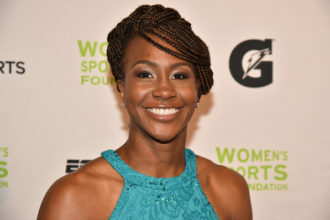 The New York Liberty were on the market for over a year. James Dolan and Madison Square Garden had put the team up for sale after the conclusion of the 2017 regular season. Reports had suggested that a number of deals were explored, but seemingly every would-be agreement had always fell through for one reason or another. Then, when Alibaba executive and Brooklyn Nets minority owner (soon to be majority) Joe Tsai emerged as a prospective suitor for the Liberty, the whole game changed. His name being revealed after months and months of a mostly in-the-dark process made people believe his bid was for real and had a great chance of going through. As it turned out, it did and as of yesterday, the Liberty have a new owner. With the team now under the Brooklyn Nets umbrella, many fans are brimming with optimism that this era of Liberty basketball will be much more rewarding than the James Dolan/MSG era was. Throughout the Liberty’s history, the team has mostly been a success on the court. New York has made the playoffs 16 of its 22 seasons and has come close on a few occasions to winning a WNBA championship worthy of that ticker-tape parade down the Canyon of Heroes. The team’s transition from MSG to the Tsai group now means a new era – and new possibilities. Those possibilities can only be recognized if the Tsai pledges not to repeat the same mistakes that were made by Dolan during his time owning the team. The first thing that has to be done is marketing. Heavy, heavy marketing. There are over 18 million people in the New York City metropolitan area. That is a huge potential market to plug women’s basketball to. That’s a market that can particularly pick up in the spring and summer months as we get closer to the season. The Liberty are as every bit of a New York team as the Yankees, Mets, Knicks, Nets, Giants, Jets, Rangers, Islanders, Devils, Red Bull, and NYCFC, so there is no reason as to why they should not be marketed as such. Billboards. Commercials. Advertisements on MTA subways and buses. Promotional opportunities. Television and radio appearances. You name it. The Liberty are a big league team in the biggest league of markets and should be treated as such. The sad thing is this – there are lots of people in the Tri-State area who do not even know New York has a professional women’s basketball team. That has lots of potential to change. A guide for how the Tsai group should approach the Liberty is how the MGM Group has gone about marketing the Aces, who ironically have the Libs’ former head coach in Bill Laimbeer. That group has invested a lot of time, effort, and money into making the Aces a success. 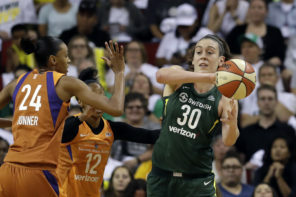 If last season was any indication with Laimbeer and A’ja Wilson at the nucleus of Las Vegas’ long-term goals and aspirations, the MGM Group has the Aces going in the right direction. In fact, MGM even got the Aces a radio deal where their home games are carried on a local Las Vegas radio station. 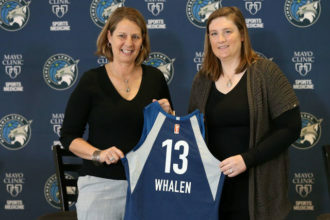 The only other team with a radio deal are the Lynx because the Las Vegas and Minnesota owners have done lots to make sure their games are as accessible as possible. Tsai must (and can) do the same with the Liberty to ensure the team has lucrative media contracts. It may be a bit trickier in the television side than it was with MSG because an advantage New York had with MSG was it did not have to worry about baseball. The Nets’ primary television partner is the YES Network, but that is primarily a Yankees channel from March until October. One way or another, the next television contract for the Liberty must ensure that their games are every bit as accessible as Nets’ contests are on YES – and that does not mean shoving them on a digital subchannel with few subscribers. Another way to make Liberty games as accessible as possible is to make sure that they play in an arena that is as accessible as possible. Barclays Center would be a perfect arena for New York to play in because of the fact that the 2, 3, 4, 5, B, D, N, Q, and R trains all stop at the arena. Or will it be Brooke? Nassau Coliseum may be less of a “pick to click,” but it is still a larger venue than the County Center by far. 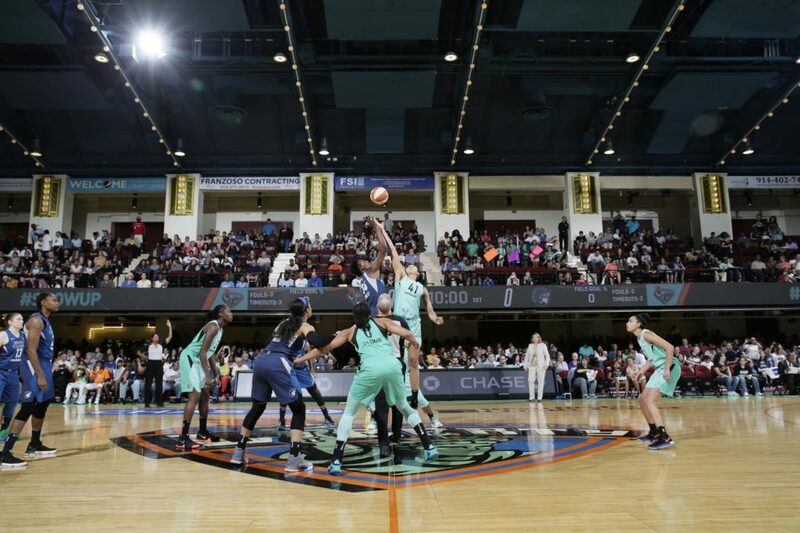 In the run-up to the 2018 season, the team was marketed as the “Women of Westchester.” With the sale taking place, “Queens of Kings County,” “Brooklyn Ballers,” or “Ladies of Long Island” all have better rings to it. In addition, use the Westchester years as a way to encourage those fans to make the trek to Brooklyn or Long Island for games. And some of those fans can even be celebrity fans. This is New York we are talking about here, so celebrities are plentiful in the Tri-State area. The Lakers had Jack Nicholson. The Knicks had Spike Lee. Say a well-known New York area celebrity (Cardi?) (Jay-Z?) became a fixture at Libs contests. While much can be said about celebrity culture, that could be a way as well to broaden the Liberty’s reach even among casual fans and make going to Barclays or Nassau an even “cooler” thing to do for New Yorkers. What will really do it though is if the team is able to re-capture the success it had throughout most of its history. From the 7-27 record to playing at the County Center, the 2018 season was one Lib Loyals would be better off forgetting than remembering. If there are two things New Yorkers love when it comes to sports, they are wins and big names. 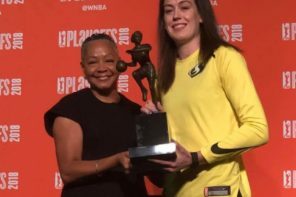 While 2019 may be transitional, imagine the Liberty landing a big name such as…Maya Moore or even…Liz Cambage. If done right, that can energize the city (and the fanbase) the same way Aaron Judge has for the Yankees fanbase and Odell Beckham, Jr. has for the Giants. New Yorkers also especially love it when their teams are winning – and a goal for the new ownership should be to make the team into a consistent winner once again. While the Liberty have experienced success, the one thing that has eluded the franchise over the years is a championship. Gotham sports has experienced more than its fair share of hard luck as of late, so any New York team competing for a title will be one well-welcomed by area fans. And with the Nets on the rise, perhaps that Nets momentum can transfer over to the Liberty. There is lots of potential for the franchise under the Tsai umbrella as he himself is positioned to become the Nets’ majority owner along with the Liberty. Tsai is looking more and more like a New York sports heavyweight the same way the Wilpon and Steinbrenner families are. But in order for that to happen, all of his franchises must experience success and Tsai will hopefully realize that greater success for the black and statue green means taking virtually the entire James Dolan playbook and chucking it into the East River.